Lawyer qualified and admitted to practice in 1967 and since then practising as an attorney, notary, online publisher, author and part-time lecturer. 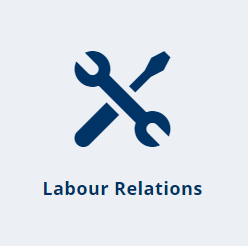 South African Employment & Labour Relations Law. Senior associate: attorney and notary public. Main focus: sourcing and aggregating material and updating GilesFiles, the South African Work Law Resource. Also contributes to books on Labour Law and lectures at two South African universities. Practising attorney and notary public with substantial knowledge and experience acquired over 50 years of legal practice as an attorney, advocate and in-house legal adviser. Places a high premium on providing pre-emptive legal advice and support in Employment & Industrial Relations Law in South Africa. Generates latest developments for practitioners that focus on the World of Work Law, including Employment Law and Industrial Relations. Comprehensive database management and aggregation of cases and journals. Conducted research and lectured part-time on various courses at the University of Cape Town. Labour Law Through the Cases (2003 – to date). Former visiting professor at the University of Johannesburg. Lectured at workshops in February each year after establishing a Post-Graduate Diploma in Labour Law course together with Prof Marius Olivier in 1991. After having been required to “retire” as a full-time senior lecturer upon reaching the compulsory retirement age of 60 ( as it then was) continues to lecture part-time to Honours students in the Department of Industrial Psychology. Lectured part-time on various courses and was an external examiner for the final year LLB students. Lectured part-time on various courses from time to time, including at Masters level. Lectured part-time on various courses, including MBA and Wine Management & Management Development Programmes. Lectured part-time on a Management Development Programme. Based in Stellenbosch and worked part-time from the offices of Cluver Markotter concentrating on Employment & Labour Relations Law. Joined Employment & Labour Law Committee and was elected vice-chairman. Having gained knowledge and experience as a practitioner in Employment & Labour Relations Law in South Africa conducted seminars throughout SA for attorneys who had not been able to study that branch of the law as it had not been offered as a subject. Founded the firm in Durban and concentrated on Employment & Labour Law and Industrial Relations and handled a number of high profile cases in various courts. Based in Durban and concentrated on Employment and Labour Law and became the responsible partner appearing in and briefing Counsel in a number of high profile cases in the Industrial Court, Supreme Court, Labour Appeal Court and the Supreme Court of Appeal. Based in Durban and concentrated on the new field in South Africa of Employment Law and Industrial Relations. Participated in initial training courses and served on Steering Committee to establish the service in 1984 and a member of Mediation and Arbitration Panels. Pietermaritzburg and Durban in KwaZulu Natal. Assistant to senior partner Charles Friedman and then partner and head of Litigation Department before moving to KwaZulu Natal to become an advocate in private practice. Based in Head Office in Johannesburg and assisted inter alia with preparation of legal contracts for the construction of the Carlton Centre Project. Based in Johannesburg. In particular created a permanent library for the firm. After becoming the first legal firm to acquire a telex machine became the backup telex operator together with the office manager. Spent 18 months working part-time underground on gold mines at East Daggafontein and Welkom as Sampler and then Learner Surveyor whilst studying Mining Engineering at Wits University. Completed eight week course in the second year of existence of the WBS. Obtained LLB degree while studying part-time and working as an articled clerk (candidate attorney). In addition to studying also played rugby, including touring with the senior team in 1963 and playing a memorable match for the first team on Coetzenburg. Coached by Danie Craven and played with Van Zyl Slabbert, Dawie de Villiers, Hannes Marais and Jannie Englebrecht. Bursary student who did not complete studies for the degree of Mining Engineering but gained valuable knowledge and experience in mathematics, applied mathematics, chemistry, physics and mechanical engineering drawing and participated in sport, including playing rugby for Wits under 19, winning the league in both years, and Transvaal under 19 in 1960. Head prefect and played rugby and cricket for the first team and awarded colours for athletics. Together with two friends (the late Daan Groeneveldt and Sarah Christie) created a website Work Science Institute of South Africa to promote the study of organisational frameworks and development, strategic planning and corporate measurement. Enjoys reading about architectural history, collecting special wines and Africana books. Farmed cattle and Dorper sheep part-time for nearly 7 years on the family farm, now known as “Lythwood Lodge”, at Lidgetton near Howick in KwaZulu Natal. Born in Johannesburg in 1941. 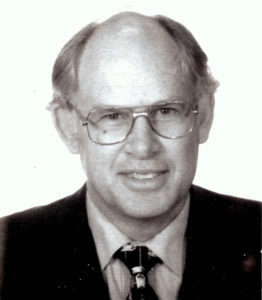 Married in 1966 to Lynn Giles (born Frank) and have a married daughter (teacher) with two grand-children (living in London) and a married son John (practising attorney) with two grand-children (living in the Western Cape) and an unmarried son Christo (a craft potter – also living in the Western Cape).